Our principle and judgment of what is important in life, is simple common courtesy in how we treat our clients. Our commitment is to make sure that our client interactions sets us apart from other law firms in Central Florida. Thomas Law Firm, PLLC does not make guarantees about what it can do, instead we make significant strides towards distinct resolution. Attorney Thomas has been passionate about the law for most her life. Whether it was practicing her litigation skills with her many siblings or honing her public speaking running for office early in life (4th Grade Vice President, that is); Attorney Thomas has known for quite some time that her passion was connected to the practice of law. Her focus narrowed as she became a NOLE at Florida State University, where amongst several leadership roles in extracurricular actives, she resolved to intern with the Capital Division of the Public Defender’s Office. This allowed Attorney Thomas to learn criminal investigative skills that she brings to her current practice in all regards. Her legal dedication in our community often goes beyond the courtroom in her civic action on the Board of Directors with the Women Resource Center and volunteerism with Children’s Home Society. This in touch mindset is what prompts Attorney Thomas to take on complex litigation for displaced homemakers, extorted breadwinners, fathers and mothers with violated rights, parents struggling with DCF issues and citizens in financial crisis. 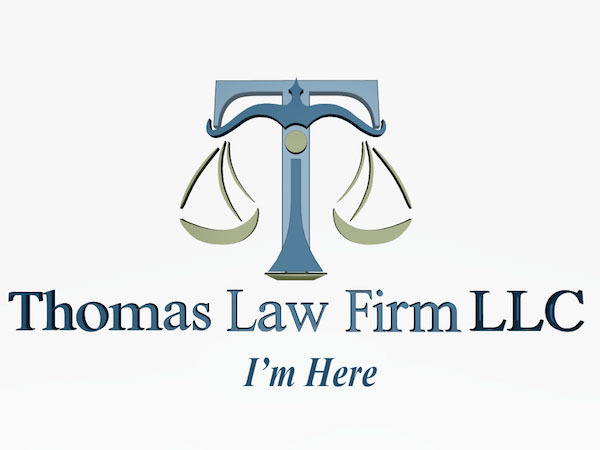 Thomas Law Firm, PLLC was established in Central Florida in late 2015. The firm’s Founder and Principal Attorney, Jessica D. Thomas, Esq., established the firm after several years of experience with previously established Orlando Law Firms in areas of Family, Bankruptcy and Dependency. The basis for seeking this type of autonomy came from one sole purpose, the ability to practice law in a format that fit the clients Attorney Thomas saw going unrepresented. Our principle and judgment of what is important in life is simple common courtesy in how we treat client’s, opposing counsel and the legal system overall. This value is synonymous with the professionalism that the Florida Bar requires of its members and we strive to not just meet those regulations but to surpass them by being committed to ensuring that how we represent clients is a personification of the faith and respectability of our Principal Attorney herself. Our commitment is to make sure that our client interactions set us apart from other law firms in Central Florida. Whether, that is through responsiveness to client communications, transparency in fees accumulating/expected or brutal honesty in anticipated legal results/options. Divorce/Dissolution of Marriage, Modification of Alimony, Child Support, Timesharing/Custody Orders/Judgments, Paternity Actions (Non Married with Children Issues), Step-Parent Adoptions. Parent representation against Department of Children and Families, Termination of Parental Rights, Case Plan Negotiation, Reunification Matters. Click on the button below to make a payment. The hiring of a lawyer is an important decision that should not be based solely on advertisements. Before you decide, ask us to send you free written information about our qualifications and experience. Transmission of the information in this web site is not intended to create, and receipt does not constitute, an attorney-client relationship.